A great route that covers a combination/ link up of the best trails on this side of the island. Toilets, drinking fountain available at the start. From the beach. Head up the trail towards Sok Ku Wan, take the hairpin turn left up the hill after 700m, the turn off onto the trail is a small opening in the bushes – If you reach the Youth Hostel you’ve gone too far. Once you reach the Wind Turbine go over the waist height fence directly behind it, you should be able to see the trail. 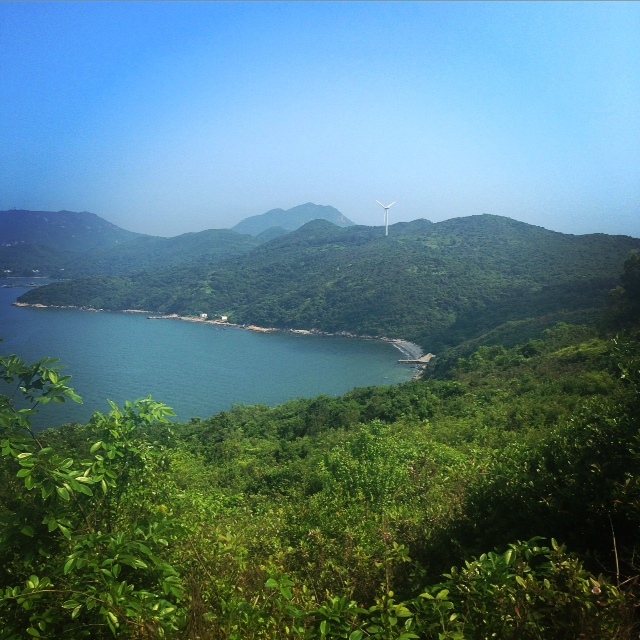 The route finishes in Yung Shue Wan Village – Stop and have some food or a coffee, toilets available in restaurants. From Central Pier no 4 get ferry to Yung Shue Wan. Follow signs to Hung Shing Ye Beach (about 15 mins). After your done, you’re right next to the ferry pier, get the ferry back to Central.